As Michigan personal injury lawyers, we constantly strive to provide the highest quality legal representation. 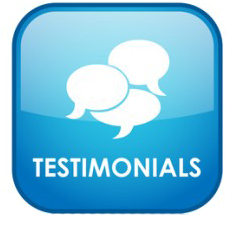 Below you will find what actual clients had to say about their experience working with us. Find out why Buckfire & Buckfire, P.C. is the most trusted personal injury law firm in Michigan! If you or a loved one has been injured in Michigan, it is important you contact an attorney to go over your legal options. You may be entitled to a large settlement! Call our award winning legal team today at (800) 606-1717 and we will answer all of your questions. We charge nothing to speak with us. There is nothing to lose, so call us today! I have never had to have a lawyer, but I’m glad that when I needed one I had Buckfire & Buckfire. Attorney Robert Lantzy was very thorough with my personal injury case. I have never had to have a lawyer but I’m glad that when I needed one I had Buckfire & Buckfire . Robert Lantzy was so nice and explained every step in common terms. He knew I was a busy mom, student and worker and was extremely patient with my tight schedule. I trust him and the outcome of my case exceeded my expectations. I would like to thank Buckfire and Buckfire,P.C. law firm for being an excellent source for me through the years for legal advice and assistance. For your personal injury cases, I would recommend the lawyers at Buckfire & Buckfire. They were very professional, knew the law and best of all, negotiated a settlement for me that was fair compensation for the injuries I suffered.